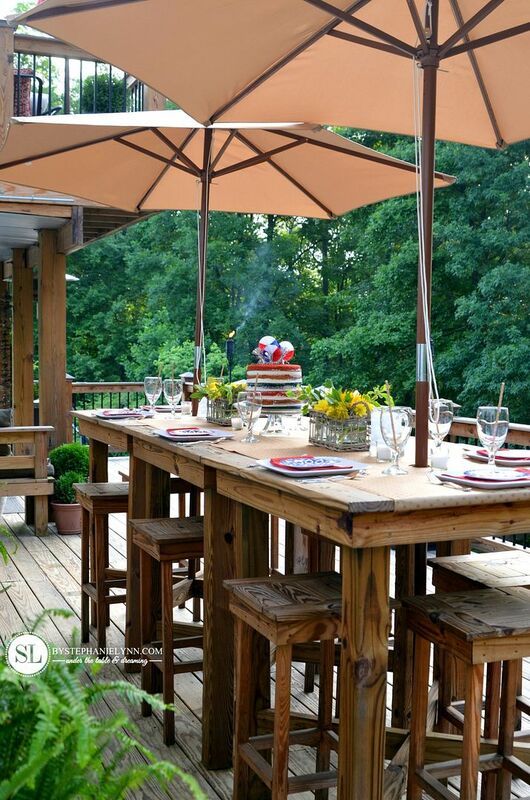 Outdoor Entertaining Tips | easy summer living – Summer is the season for entertaining outdoors. This time of year we love spending time outdoors and bringing friends and family together has become a true passion. For the past five years we have been working on extending our outdoor living area and bringing the indoors outside to our backyard. 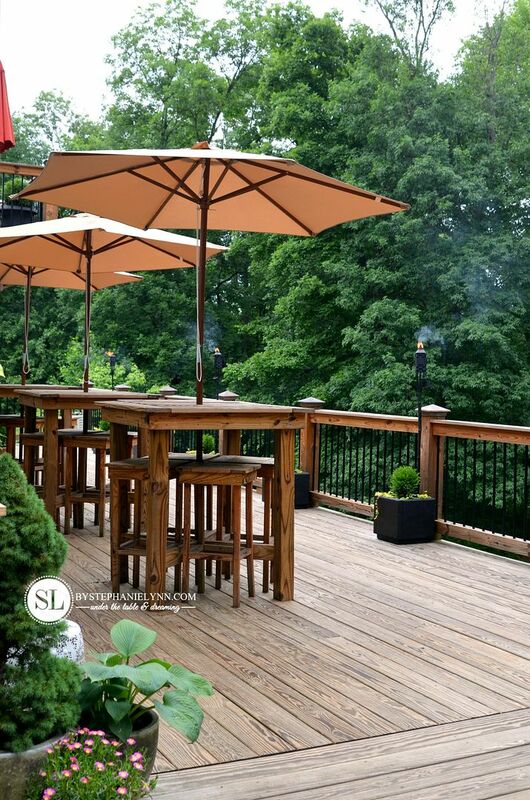 Although it has been a lot of work, the diy party deck project has not only enhanced our home, but created a ready-to-go stage for all of our outdoor activities and entertaining. 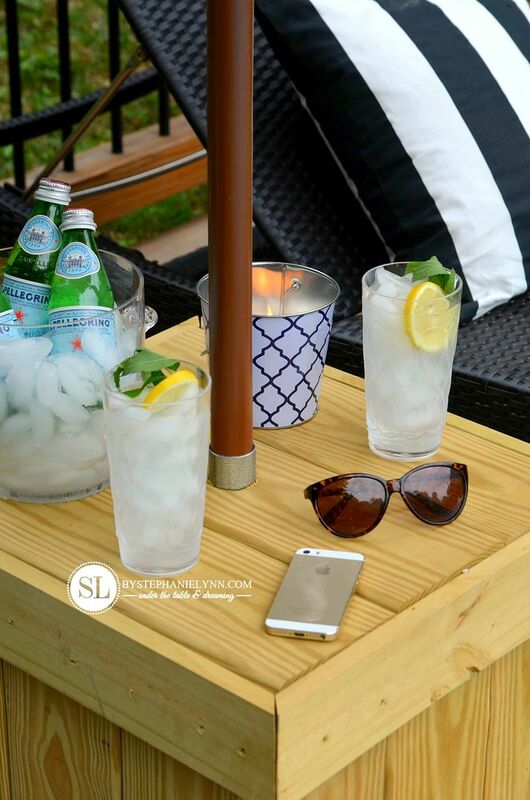 Today I have partnered with TIKI Brand to bring you some of our top Outdoor Entertaining Tips as you prepare your own space for family, friends, and fun this season. 1. Don’t hesitate to move things around. It only takes a few minutes to re-arrange outdoor furniture to better fit the feel and flow of your event plans. 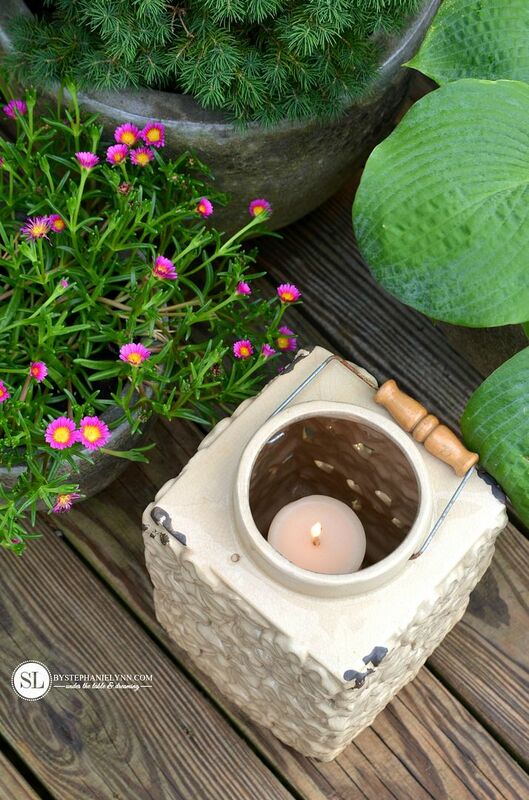 Think about bringing some indoor pieces outside as well. For smaller dinner parties and gatherings, we like to create a more intimate and cozy feel by moving our tables and seating areas closer together. We also don’t think twice about setting up a TV outdoors when our entertaining coincides with a televised sporting event. 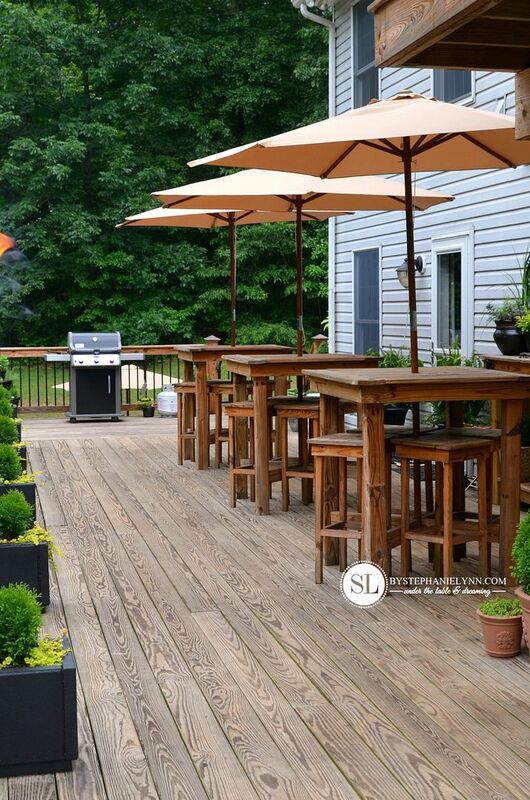 Make use of the whole yard for larger parties by staging multiple mini seating areas and conversation nooks. 2. 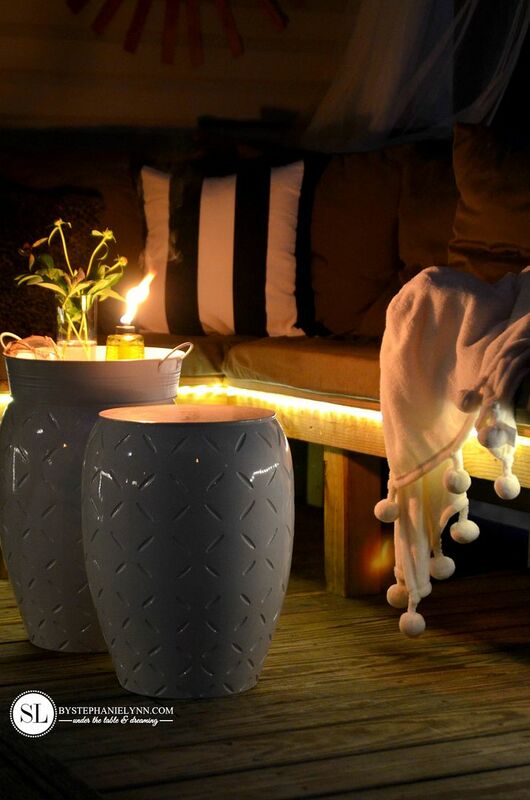 Create a casual, relaxed mood with outdoor lighting. Creating different levels of outdoor lighting is one of the easiest, and least expensive, ways to add instant ambiance to your space. Think about the placement, intensity and timing – especially if your entertaining extends into the evening hours. Candles are my ultimate favorite for adding intimate ambiance to table tops and lanterns. 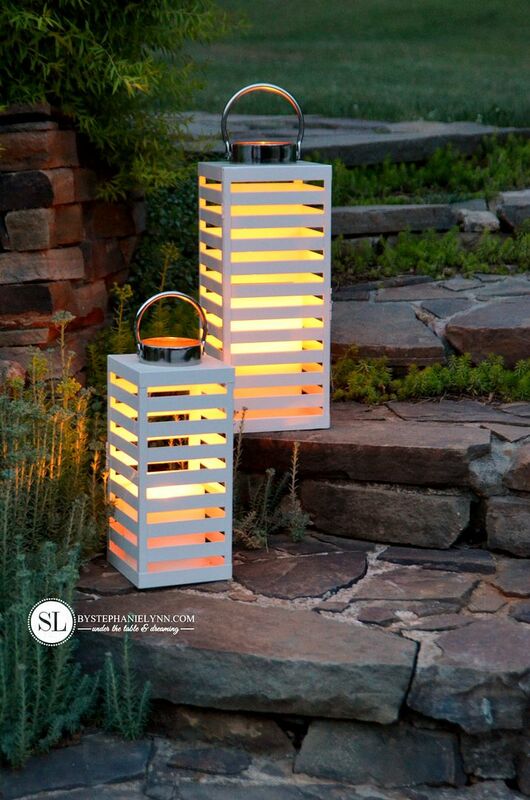 They are also a great way to add additional lighting to walkways and paths for evening gatherings. 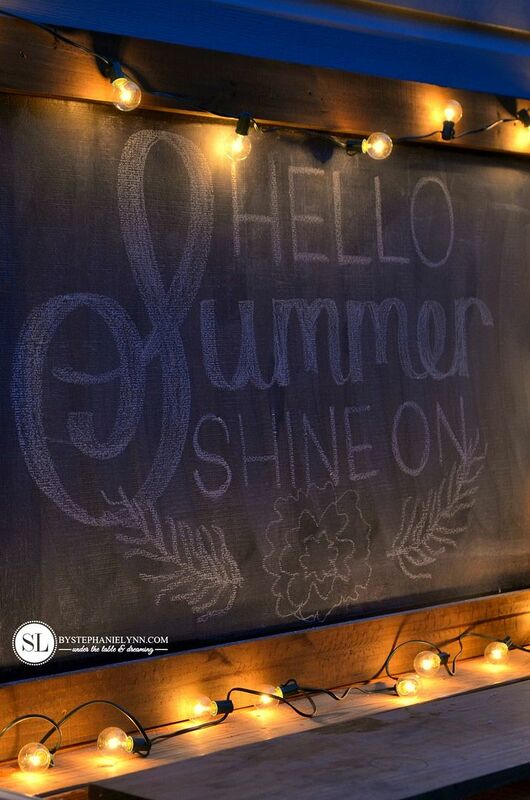 Rope lights and string lights are not only great for illuminating dark areas, but also help define and highlight outdoor social and dining areas. I love the ambiance that an open flame TIKI Brand torch gives off at night. When our guest list does not contain a lot of little kiddies, I like to define our outdoor space by tucking a few into our homemade patio paver planters. 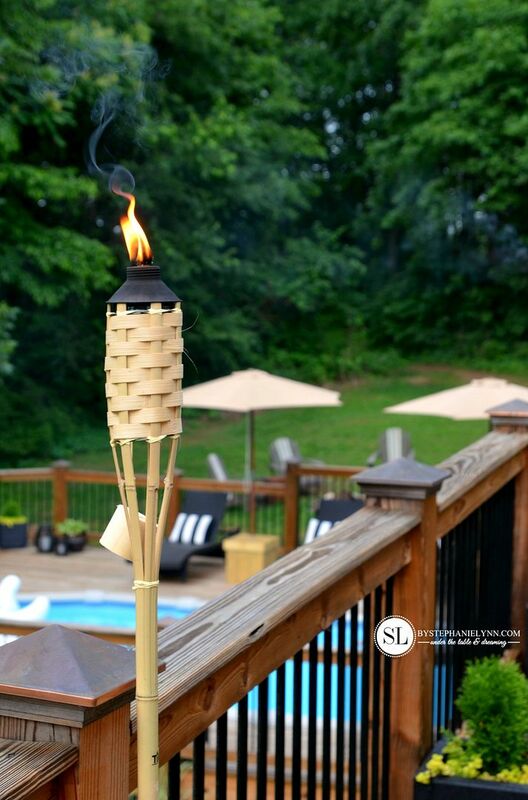 For additional stability and safety we like to use TIKI Brand torch stakes and zip ties. 3. Keep bugs at bay. 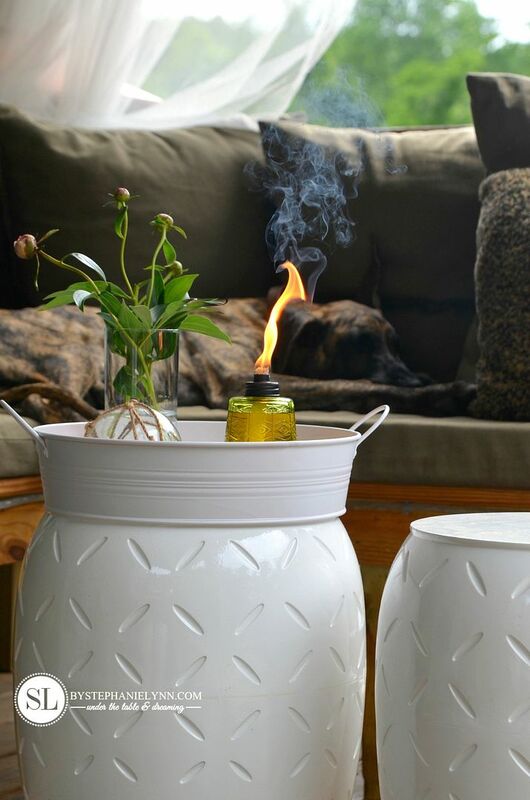 Citronella based candle options and torch fuel not only provide intimate ambiance but can help repel pests while your guests enjoy the outdoors. When thinking about decor, keep it simple and casual by using what you already have on hand. Pull together a cohesive look and create an easy outdoor palette by selecting accessories in one or two coordinating colors. Set the table for smaller gatherings and intimate dinner parties. I have a set of melamine dishes on hand which are a great kid-friendly and care-free option for outdoor dining. The classic white is versatile for any type of setting, plus they are much more durable and sturdier than paper – not to mention re-usable. Fresh cut garden flowers make perfect centerpieces. If your flowers are not yet blooming, cut down and re-arrange inexpensive store bought bouquets. To make the bouquets fuller I always like to tuck in some greens from my own yard. Another alternative for centerpieces are potted annuals and perennials. They make great centerpieces and perfect little take home favors for your guests as well. For parties centered around a specific holiday or special theme I like to add subtle touches to items I already have. Instead of purchasing a ton of disposable decor, I usually focus on one area and go all out. 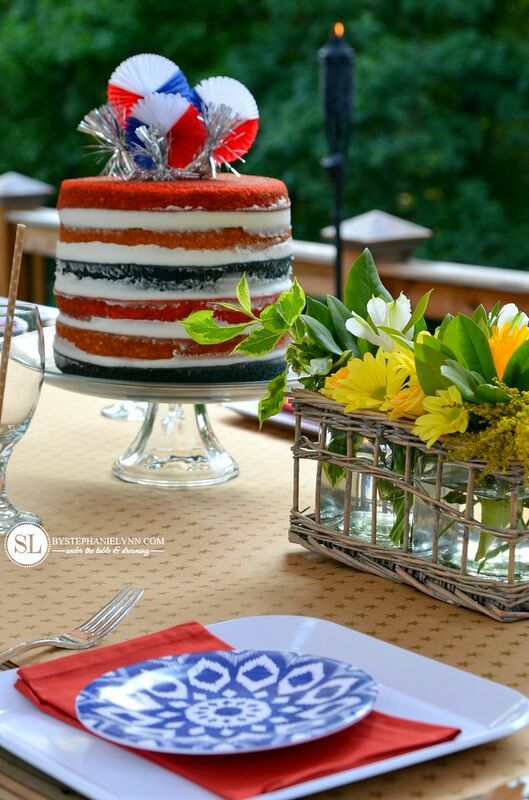 This usually ends up being the dessert table, like this Fourth of July Pie Bar – which is set up ahead of time and always indoors. 5. Plan the party menu. 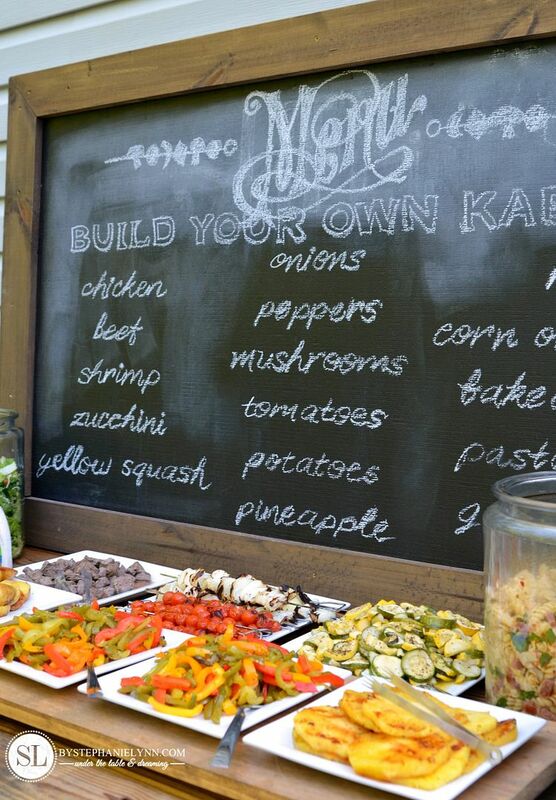 I am a big fan of themed, self-serve buffet bars when entertaining outdoors – like this Build-Your-Own Kabob Bar we recently set up to watch The Belmont Stakes . Once the prep work is done, the tables practically run maintenance free – leaving the host more time to mingle and enjoy the festivities. Displaying the party menu not only lets your guests know what’s being served, but helps keep you on track when it’s time to set everything up. It’s also a great way to note any allergy information for those guests with special dietary needs. 6. 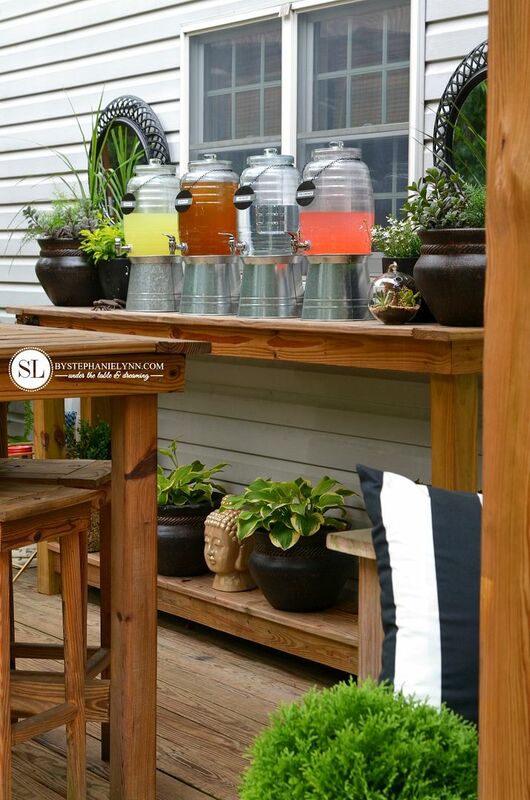 Set up a Drink Station. 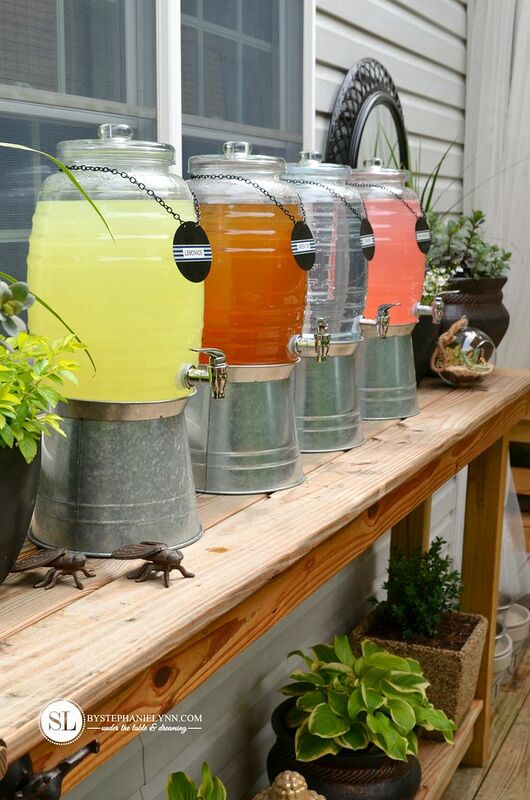 Every outdoor event needs a well-stocked drink station. 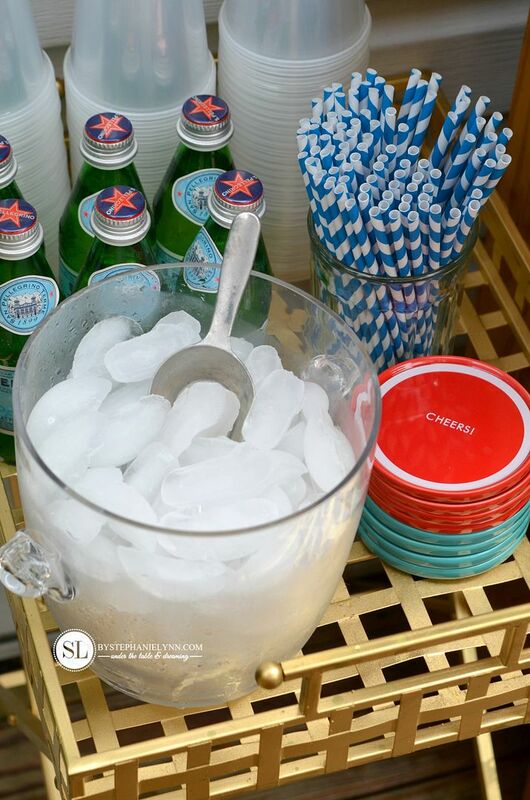 Keep the beverages separated from the food to ease the foot traffic and keep the flow moving during your events. These large drink dispensers have been one of my best entertaining investments. They make it easier to serve a large number of people and practically run maintenance free once everything is initially set up. Lemonade, Tea, Ice Water and Pink Lemonade are always on our drink list. We also like to have multiple coolers set up around the area, stocked with ice and ready to go. Just like lighting, music is just as important for instantly setting the tone of your get-together. 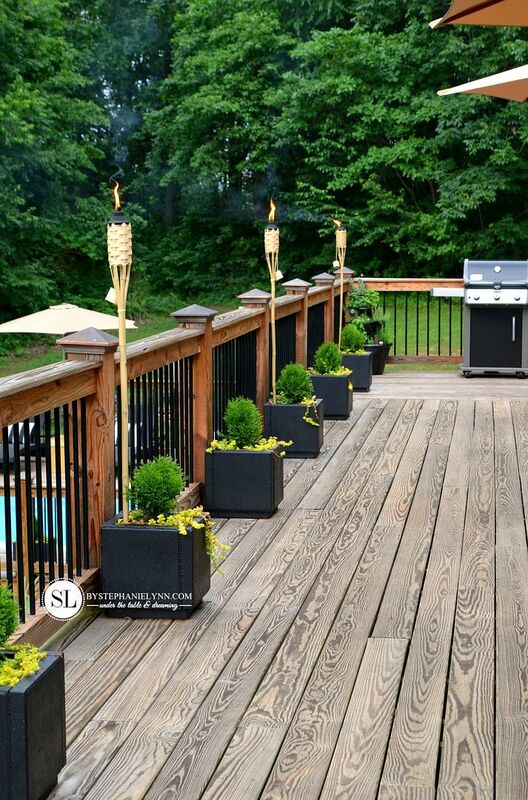 We invested in a set of outdoor speakers a couple years ago that are able to stay outside year round and handle the elements. Prior to each event we have planned we spend a little time selecting music that is appropriate for the mood of the party and the guests that will be attending. The most important factor is making guests feel welcomed and relaxed. 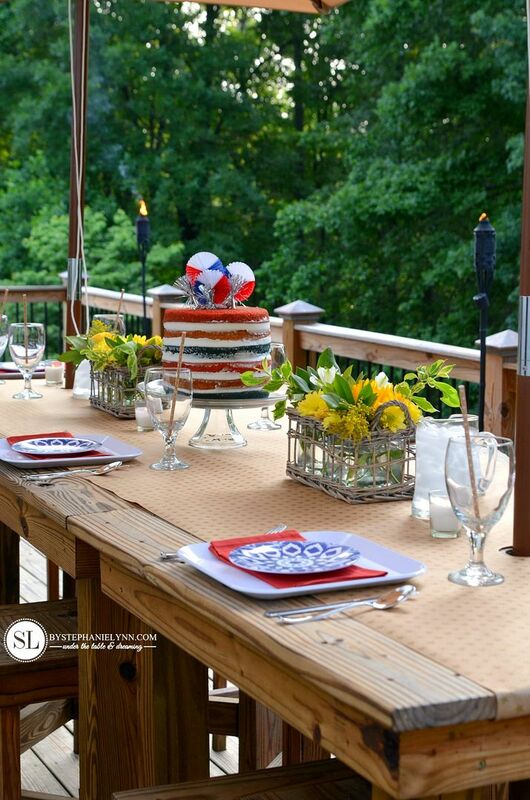 The more fun you have at your own party, the more your guests will enjoy themselves as well. 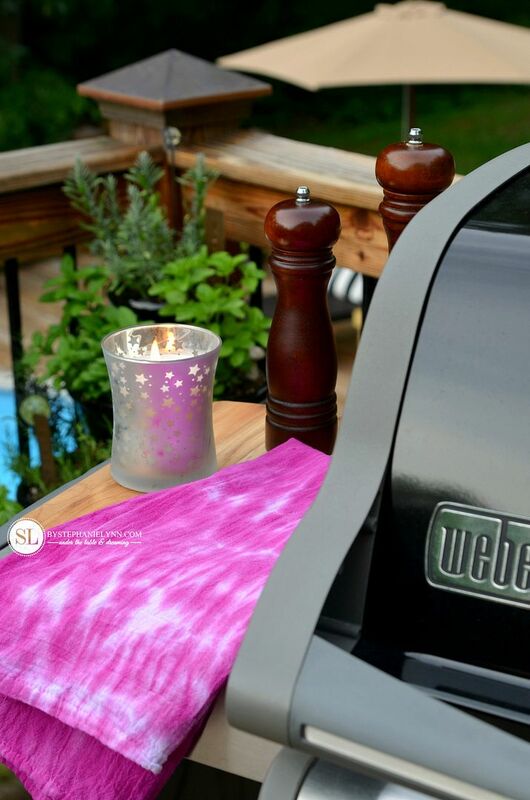 TIKI Brand would like to help kickstart your outdoor entertaining this season with a giveaway. 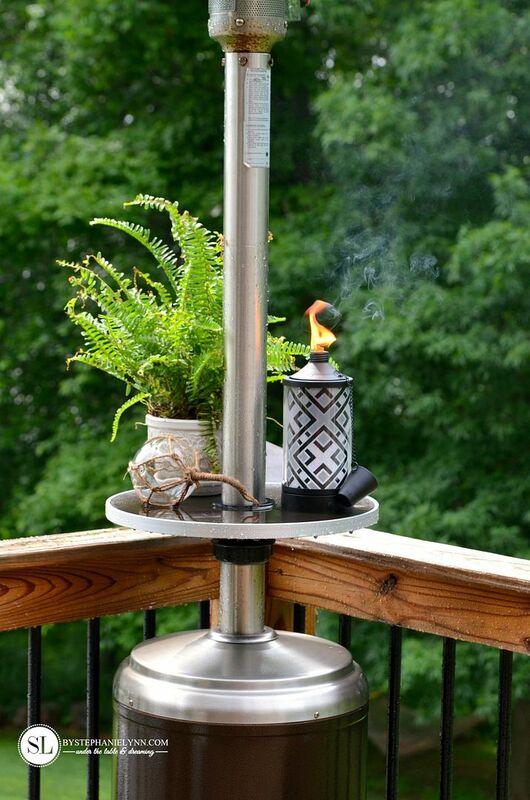 Enter below for a chance to win one TIKI Brand Polynesian Palm Glowing Table Torch, one bottle of TIKI Brand Citronella Torch Fuel and one Snap & Pour Spout. This post brought to you by TIKI Brand®. All opinions and tips are 100% my own. Hi, I am following your blog from last 3 years, but never commented. Today i felt i should say what i have in my mind, not just keep it to myself. Your work is amazing and your craft projects are too. But most of it all i feel you are an amazing person, because all your post show your beautiful heart through the love you put in them. This is simply amazing, as you mentioned that you had invested 5 years to create the space,to combine outdoor with indoors looks lavishly spectacular. what a beautiful space you have created. love all the tips and idea you have shared. I am one of those who enjoy the least at the parties that I host and basically run like a mad cow. You gave me lots of ideas for my next event:) Thank you. wowza. 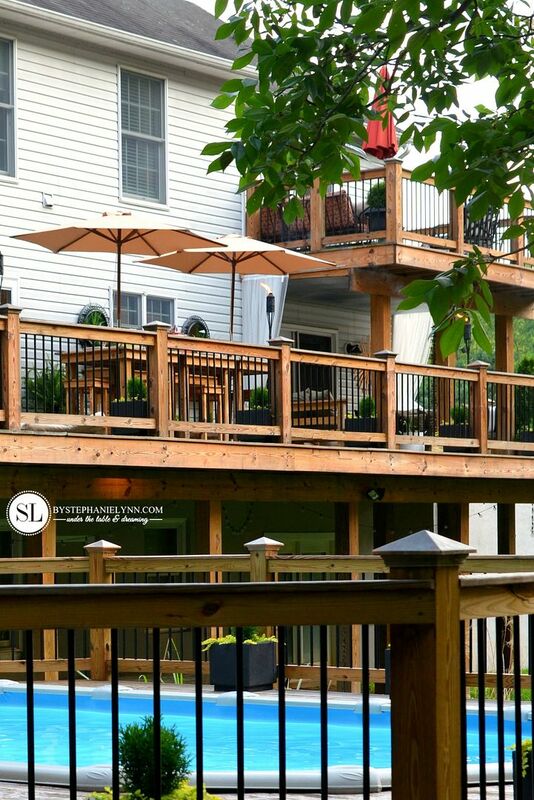 i love your party deck and entire outdoor area. i imagine there is lots of entertaining and spending time outdoors at your house. happy summer! Gosh, I so wish you were my neighbor… you have the best ideas/styling for parties. I don’t think there is one that I’ve not pinned – thanks so much for sharing! So beautiful! 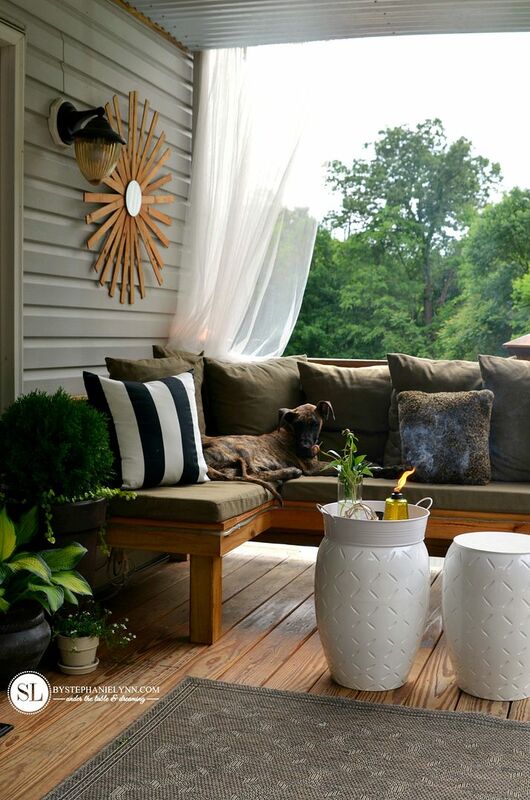 I know you’ve worked hard to create this gorgeous outdoor living area and it shows in all of the details. Happy summer! I love everything about your backyard! The decks and pool and absolutely incredible!!! I love the wood tables, chairs, and console table. 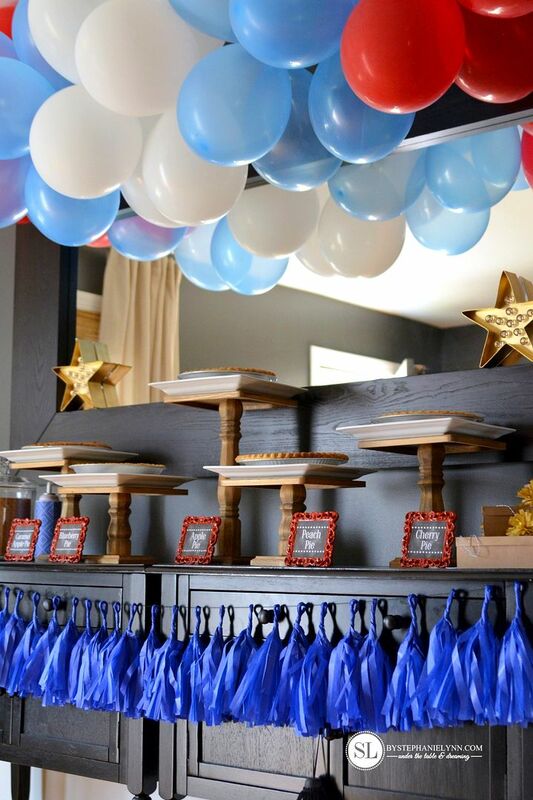 I absolutely adore the 4th of July party and the pie bar…who wouldn’t love a self-serve pie bar?! You gave me so many great ideas. I love it all!! I won! Now, if I could just throw a party like you I’d be all set! And since that ain’t happenin’ any time soon, I’ll just be content with continuing to pin and do my best to create an atmosphere that’s at least a bit “Stephanie-isk”! Thanks so much for all the inspiration!